The chemical in cannabis that has the greatest psychoactive effect on the human brain is tetrahydrocannabinol (THC). THC concentrates are mostly known by their street names, butane hash oil (BHO), “wax,” “shatter,” or “budder.” THC concentrates have become increasingly popular in Florida and many locations across the country due in large part to the growth in vaporizers, e-cigarettes, and “dabbing” (vaporizing concentrated marijuana). While some users may not see the difference between actual cannabis and THC concentrates, it is important to understand that criminal offenses involving possession of BHO or another concentrates are subject to much more stringent penalties than common marijuana offenses. Unlike many cannabis crimes in which possession of 20 grams or less is charged as a misdemeanor offense, possession of any amount of a THC concentrate in Florida constitutes a felony offense. If you were arrested for allegedly possessing BHO or any other marijuana concentrate in North Florida, it will be in your best interest to quickly seek legal representation. Pumphrey Law defends clients accused of all types of marijuana crimes in communities throughout Leon County, Wakulla County, Liberty County, Jefferson County, and Gadsden County. Don Pumphrey and the Tallahassee criminal defense attorneys at Pumphrey Law have several years of combined experience fighting all kinds of illegal drug charges. You can have our lawyers provide a complete evaluation of your case when you call (850) 681-7777 to receive a free initial consultation. How are BHO and concentrate crimes classified? What are the Penalties for Conviction? Where can I find more information about THC concentrates in Tallahassee? Possession of a controlled substance offenses are established under Florida Statute § 893.13, and Florida Statute § 893.13(6)(b) typically makes possession of 20 grams or less of cannabis a first-degree misdemeanor. A state, county, or municipal park. Up to 15 years in prison and/or fine of up to $10,000. While concentrates may be sold legally in other states, lawful purchases in other jurisdictions will not excuse possession in Florida. Alleged offenders cannot plead ignorance as to the illegality of THC concentrates (Florida Statute § 893.101(2) establishes that knowledge of the illicit nature of a controlled substance is not an element of any offense under Chapter 893 of the Florida Statutes), but they may still have any one of a number of other possible defenses. View an October 24, 2013, Miami New Times article discussing concentrates at a time when “BHO use has exploded across Florida and the rest of the nation.” The article sheds immeasurable insight on how THC concentrates are manufactured, consumed, and sold. It also discusses the push to legalize medical cannabis and, thus, THC concentrates. JustThinkTwice.gov is a United States Drug Enforcement Administration (DEA) website. Visit this website to learn what marijuana concentrates are, how concentrates are abused, and how potent concentrates can be. Additional information touches on the effects of using marijuana concentrates. Were you arrested anywhere in North Florida for an alleged criminal offense involving BHO or any other marijuana concentrate? Do not say anything to authorities without legal counsel. Contact Pumphrey Law as soon as possible. 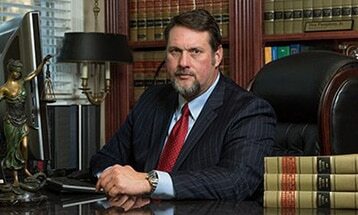 Don Pumphrey and the criminal defense lawyers in Tallahassee at Pumphrey Law represent individuals all over the Florida Panhandle and Big Bend region, including Tallahassee, Crawfordville, Bristol, Quincy, Monticello, and many surrounding areas. Call (850) 681-7777 or submit an online contact form to have our attorneys review your case and answer all of your legal questions during a free, confidential consultation.